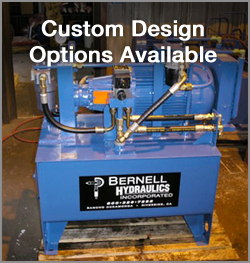 At Bernell Hydraulics, we have the knowledge and experience needed to take excellent care of any sort of hydraulic equipment Ontario CA that you might have. We can provide parts and service for industrial, mobile, and agricultural systems. Here is an overview of the major services we offer for hydraulic equipment Ontario CA. You can rely on our HoseDoctor service to get you the new hoses you need right when you need them. Just call one of our three Inland Empire locations and let us know what size and type of hoses you require. If we have your hoses in stock, we’ll bring them right over and install them for you, any time day or night. If we don’t have the exact hoses you need in any of our stores, we can special order them for you. We can even create a custom hose assembly in our workshop if needed. Sometimes you may need a little extra help with service and maintenance on your hydraulic equipment Ontario CA. When that happens, you can turn to the pros at Bernell Hydraulics. We’ve been working on hydraulic equipment since 1977, and we know our way around. We can handle everything from routine filter and fluid changes to designing and fabricating custom hydraulic systems. We can service your equipment in our shop or at your work site through our mobile field service for maximum convenience. Of course, no amount of service can ever compensate for inferior parts. At Bernell Hydraulics, we carry an extensive collection of brand-name, high-quality parts to give our customers the best possible performance and durability in any type of hydraulic equipment. We are especially proud of our Parker parts, because these parts come from an industry leader and are often packed with innovative features. Our expert staff members can help you sort through the countless Parker products that may be available to you and select the ones that will deliver the high level of performance you require within the unique constraints of your hydraulic equipment.